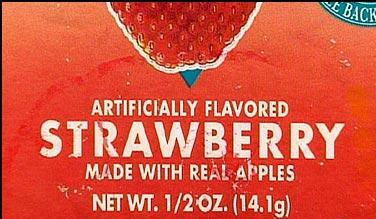 I find it funny how food products advertise how their stuff is made with real ingredients. If that isn’t a red flag to what we’re eating, I don’t know what is. It’s like most of what we’re eating is made in a lab. Wait, I think it actually is. Ugh, this whole food thing is driving me nuts (follow my fasting adventure here). I found it really funny that I found a can of iced tea at the store that said “Made with Real Tea Leaves!” and I thought to myself how else would you make tea? 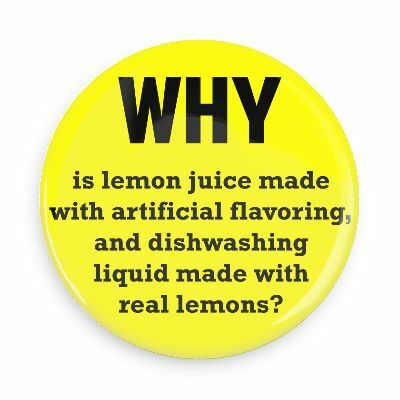 Have you ever seen those notices on food products that you buy? Check them out next time you go to the store. Okay. True story, this very weekend on grocery day… I needed to get cheese. For some reason when I read the label saying “prepared pasteurized cheese product” and the first ingredient wasn’t American cheese. I passed on eating cheese altogether. Just avocado sandwiches for me this week. 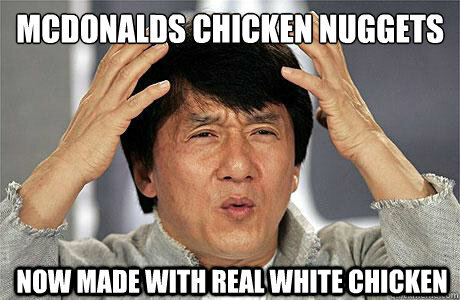 Love the Jackie Chan pic! Looking at food labels is a real eye-opener. Makes you want to start a garden! Have you heard of the Whole 30? You’d probably be interested in it. 30 days of eating fruits, veggies, and lean protein. That’s IT. I’m on day 22 today and am really loving it. The creators of it have a great book called “it starts with food” too, you should check it out! Has totally changed my relationship with food, thank God! Wow, good job on getting this far! I hadn’t heard of it but it sounds healthy. Thank you so much for sharing that, I’ve been looking for reading material!